Please follow Snow Emergency parking rules or your vehicle will be tagged and/or towed to the Minneapolis Impound Lot. When a Snow Emergency is declared, parking rules go into effect so plows can clear the streets and fire trucks, police cars, ambulances and other vehicles can then get around and park. Plowing the streets completely requires vehicles parked on streets to move. It's in everyone's best interest to follow the MPLS Snow Emergency parking rules so plows can do the best job possible, and folks can avoid getting a ticket and tow to the Minneapolis Impound Lot. Day 2 - Tuesday, Jan 23, 8 a.m. to 8 p.m. Do not park on the EVEN side of a non-Snow Emergency route until that side of the street is fully plowed, or on EITHER side of a parkway until the parkway is fully plowed. Day 3 - Wednesday, Jan 24, 8 a.m. to 8 p.m. Do not park on the ODD side of a non-Snow Emergency route until that side of the street is fully plowed. Find out how to stay informed about Snow Emergencies by clicking on www.minneapolismn.gov/snow/snow_stay-informed. Minneapolis ordinance requires that property owners clear sidewalks at homes and duplexes within 24 hours after a snowfall. Four daytime hours for apartment and commercial buildings (daytime hours begin at 8 am). More information can be found at Shoveling Sidewalks and Around Garbage Cart. ​It is that time of year again and although Minneapolis is not currently in a Snow Emergency, one can arrive at anytime. It is important that you be prepared and know the parking rules. You can select from several options on how to be notified by the City should a Snow Emergency be called. Snow Emergencies are called after a significant snowfall and before 6 pm. Vehicles in violation of the snow emergency will be tagged and towed. To view the Snow Emergency rules and to find out you can get the latest Snow Emergency news, click the City Website at minneapolis.gov/snow. Clear your Sidewalks of ice and snow keeping your neighbors and others who walk in Minneapolis safe and avoiding a fine. More information can be found on the City's website including resources for help. Mill and overlay resurfacing will begin this spring in several neighborhoods including East Harriet. The project includes most but not all streets. Streets not included are W 36th, 38th, 40th, Lyndale, Bryant, Dupont and East Lake Harriet Parkway. Formal assessment notices and letters will be going out soon for this project, along with invitations to a neighborhood meeting hosted by Public Works on February 21 at 6.30 pm at the Lyndale Farmstead Rec Center at 3900 Bryant Ave South. A map of the project location is attached. The Metropolitan Council Environmental Services sewer rehabilitation project will begin work on Monday, July 6 on the South side of Lake Harriet. Monday, July 6 - Friday, July 10: The Lake Harriet bike path will be closed and bikes will be detoured onto the existing pedestrian trial. The pedestrian trail will become a shared use trail. Saturday and Sunday, July 11-12: Both Lake Harriet bike and pedestrian trails will be open. Monday, July 13 - Friday, July 17: The Lake Harriet pedestrian path will be closed and pedestrians will be detoured onto the existing bike trial. The bike trail will become a shared use trail. Work is expected to be completed by Friday, July 17. For more information, please go to the Sewer Rehabilitation project page. It’s that time of year again – the holiday season is upon us and winter is finally coming. The City of Minneapolis and the Minneapolis Police Department have a number of crime prevention tips to pass along based on recent and seasonal crime trends. One common crime particularly around this time of year is package theft. The MPD has already received several reports of package theft this past month and anticipate seeing more throughout the holiday season. If you plan to do any online ordering this year, its recommend you read the holiday safety tips and package theft prevention attachments below. Even before it got cold, the MPD has seen a number of incidents where vehicle thefts occurred in which the car was left running or a key was left in the car. Now that it is getting colder, it’s likely this crime will only increase. Please remember to never leave your car running unattended. For more information, see the open ignition attachment. City crews have been plowing and treating streets to keep them drivable. Now that a snow emergency has been declared, parking restrictions will take effect beginning at 9 pm tonight, so City crews can thoroughly plow over 1000 miles of City streets from curb to curb. Tonight, Feb 2, 9 p.m. to 8 a.m. (Day 1) Do not park on EITHER side of a Snow Emergency route until the street is fully plowed. Wednesday, Feb 3, 8 a.m. to 8 p.m. (Day 2) Do not park on the EVEN side of a non-Snow Emergency route until that side of the street is fully plowed, or on EITHER side of a parkway until the parkway is fully plowed. Thursday, Feb 4, 8 a.m. to 8 p.m. (Day 3) Do not park on the ODD side of a non-Snow Emergency route until that side of the street is fully plowed. Find out how to stay informed about Snow Emergencies by clicking onwww.minneapolismn.gov/snow/snow_stay-informed. Before your children head out to trick or treat tonight, review with them the following Halloween Safety Tips from the Minneapolis Police Dept. 1. Walk with other kids or have your parents walk with you. 2. Stay on the sidewalks and don’t cut across people’s yards. 3. Cross at intersections and obey traffic lights. see and breathe through easily. Make-up is safer. 6. NEVER go into other people’s houses. Stay outside. 7. Only go to houses that are well-lit. 8. Wear bright, reflective colors so that drivers can see you when it gets dark. Remember that just because you see the cars doesn’t mean the drivers see you. 9. Be polite and say “Thank you” to the people who give out treats. Don’t push others when you are at the door. 10. Have your parents check your treats before you eat them. you are going, and let drivers see you. 13. Wear costumes that are fireproof and not too long or too loose. 14. Think about going to a Halloween party instead of trick-or-treating. Contact your crime prevention specialist for additional prevention information. Call 311 or call 612-673-3000. National Night Out August 7, 2012. It was a perfect night for NNO in Minneapolis. 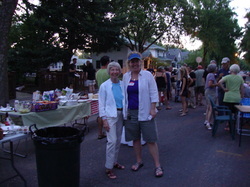 East Harriet had at least 20 block parties offering some great food, drink and of course neighbors! Start planning today for your National Night Out (NNO) neighborhood block party on August 6! Check out the Minneapolis NNO web resource for everything you need to to know including tips on putting together a successful NNO party. You can register your event online or by calling 311. The form to register your block has changed significantly this year. You no longer have to include the names and contact information of those agreeing to the street permit. While you still need 3/4 of your neighbors on the block for a barricade approval, you are on your honor to report the needed 3/4 approval. There is no charge if you register your block by July 23. The fee is $100 after July 23. Please remember to watch out for your neighbors, and call 911 on suspicious behavior/activity in your neighborhood. Please click here for holiday safety tips. Between April 2 and May 11, 2013, 17 occupied residential and apartment burglaries occurred in the Fifth Precinct. Although the burglaries have occurred in bordering neighborhoods and not in East Harriet, it is important to be aware of this crime trend. An occupied burglary is when the suspect enters the home and a resident is present. In most cases, the resident is asleep and the suspect will often not go near the resident. In the instances where the resident and suspect saw each other, the suspect fled. The majority of the cases occurred between 2-5 am, with some ranging as late as 9 am or as early as midnight. 70% of entry to the home contained no force, utilizing unlocked doors and windows and removing screens. If you believe you have suspect information for any of these crimes, contact the Fifth Precinct desk at 612.673.5705. Record the make/model/ serial number on valuables, increasing the chances of recovery and locating a suspect. It's especially important on bicycles! It is important to increase your awareness and use the following crime prevention methods in your neighborhood. Keep a watchful eye out and call 9-1-1 if you see or hear anything suspicious even if you do not see the crime. Reporting is important because it may be possible to identify patterns through accumulated reports. Lock all exterior doors to your home including the garage service door. Keep ground floor windows closed and locked when not home. Use a pin lock if windows are open while you are home during the day. Keep your front lights on increasing the chances of vandals or thieves being seen. DO NOT leave valuables in your car. Remember that purses, wallets, cell phones, briefcases, laptops, ipods, garage door openers, etc. are all tempting to thieves. At the beginning of the month, the Fifth Precinct Minneapolis Police Department was made aware of a number of thefts of plants from residences and businesses, mostly in the Linden Hills and Fulton area. These largely occurred overnight. Plant theft is unfortunately a statewide trend, as other counties and cities outside of the direct Metro area have also been experiencing similar crimes, and a search online will show that these thefts have been common in other areas of the nation as well in the past. There are very few official sources of plant theft prevention tips that could be located. Fifth Precinct Crime Prevention gathered a number of plant theft prevention tips from gardening sources on the web and has placed them into one document. Fifth Precinct is committed to catching these perpetrators and need your assistance in reporting suspicious vehicles and persons to 911 at the time it occurs. Please feel free to share the document with friends, family and neighbors. In the past month there have been two robberies at the 46th St W/Bryant Av S bus stop. The first on January 17 occurred around 9:10 p.m. The victim was waiting for a bus when the suspect approached and pointed a gun at him. The suspect demanded that the victim give up his wallet and phone. The suspect fled on foot. The second incident occurred February 13 at 9:45 a.m. Again, the suspect pointed a gun at the victim and demanded his belongings. A laptop, phone and wallet were taken. In both cases, the victim was the only person at the bus stop. Both had valuable electronics taken from them. Neither of them was injured. Suspect descriptions are unavailable for release at this time due to the ongoing investigation. Please take precautions and call 911 if you notice suspicious activity. Stay alert to your surroundings. Recognize when something or someone appears out of the ordinary. Become familiar with businesses on your route. Know which stores stay open late. Choose well-lit streets at night. Carry keys and money in a pocket rather than in a purse or wallet. If you feel uneasy, go directly to a place where there may be other people. Walk with purpose and confidence. Walk with friends when possible. Don't carry excess cash or credit cards with you. Bring only what you need. If circumstances require you to carry a large amount of cash, hide the majority of it in an unexpected place such as a sock, and carry a smaller amount in an expected place like your wallet, purse or pocket. Robbers tend to go for the expected places. Disposable-the robber can easily sell the items to or trade the items with others. And Please Do Not Forget to Call 911 Regarding Suspicious Activity! Minneapolis was recognized by the National association of Town Watch for National Night Out (NNO) and placed first in the nation for cities with populations over 300,000. This is the tenth time Minneapolis has placed first since 1989. Minneapolis has been celebrating NNO on the second Tuesday of each August for 28 years. In 2011 there were 1,173 confirmed events on 2,470 blocks with nearly 60,500 people participating! Let's continue this tradition! The impact of NNO lasts throughout the year. Neighbor's who know and care about each other, do a better job of watching out for one another and reporting crime and suspicious behavior to police. Read more about the 5th Precinct in their eNews. Be sure to Sign Up to receive the 5th Precinct quarterly newsletter. "Back to Basics"was the theme for this year's National Night Out (NNO) on August 2. Neighbors getting to know each other have a powerful affect on lowering crime and keeping your neighborhood safe. Over 16 blocks registered for the event and celebrated with blocks parties in East Harriet. Enjoy your recreational fire between 9am-10pm and when the winds don't exceed 10mph. Click on RECFIRES for more information. "Each year I deal with a number of complaints about door to door solicitors. If anyone comes to your door trying to sell you anything, take orders for future delivery or tries to sell you any type of alarm system, make sure they have a Minneapolis Solicitors License. When you open the door, the first words you should be saying are, let me see your Minneapolis Solicitors License. It they don’t have one, send them on their way and call 911. Don't be afraid to call 911. A 911 police call is NOT just for emergencies, it's also any time you want to report illegal or suspicious activity or want a police squad for some other reason. Tell the 911 operator that an unlicensed solicitor is going door to door on your block. After you call them, call me and if I'm not in, leave me a message regarding the address they are currently at and your phone number. Once someone signs a contract with an unlicensed solicitor, its very difficult to get them out of it and trying to get a hold of someone from the company is extremely frustrating. Help your neighbor, if they come to your door, take appropriate action." Link to Crime Prevention Resources and handouts on the City of Minneapolis website. The east lane of Lyndale Ave S from 56th Street to and including the Minnehaha Bridge will be closed beginning on Monday, April 2. The bridge over Minnehaha Creek on Lyndale Avenue South closed earlier on January 17 due to the abnormally warm winter and the complexities of the project. Traffic on Lyndale Ave will be moved to the WEST side with one lane in each direction (North/South). The second phase of construction which will include the west side of Lyndale will begin early July. The entire project is expected to be completed in October. The bridge closure eliminates easy access to businesses in the Lyndale & 54th St business area. Hennepin County will use detours to direct traffic back to the area. Southbound traffic will be detoured west on 50th St to Penn Ave. You can also go east on Nicollet to 54th St W. This area includes many local and small businesses, including retail shops, restaurants, and service businesses that will appreciate your support during this construction period. MPD And Crime Stoppers have teamed up to identify a person of interest in the recent vandalism to Kyle’s and Calhoun Pet Store. Both businesses have suffered similar damage and incidents of graffiti four times this year. This last incident will cost over $5000 to repair. The businesses have been owned by the same family for many years. The owners have no known enemies and have received no threats. It is believed that the suspect may be targeting these businesses due to the cultural origin of the owners. Crime Stoppers of Minnesota has long provided an avenue for the public to provide information to the police anonymously. Additionally Crime Stoppers can offer cash rewards for information that is vital to a case. 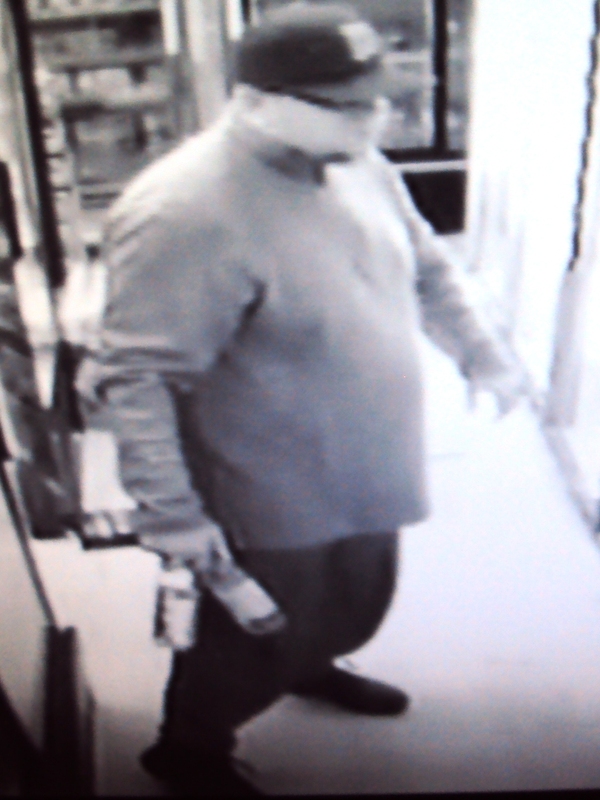 In this instance Crime Stoppers is offering a reward of up to $1000 for information. To provide information to Crime Stoppers regarding this incident, or any other serious crime, call 1-800-222-8477(TIPS), text TIP674 plus your information to 274637(CRIMES) or go to the Crime Stoppers website at crimestoppersmn.org and click on “Give a Tip”. All callers are given a unique identifier and no names are used. The Minneapolis Police Dept. recently held Neighborhood Policing Plan meetings for Minneapolis Southwest neighborhoods. The results of the meetings are listed below and include three important crime statistics and three basic actions you can take to reduce crime in your neighborhood. If you have questions, please email Amy Lavender or call 612.673.5407. The Minneapolis Bicycle Advisory Committee is seeking applications for representatives from each of the thirteen wards. The committee advises the Mayor and City Council on policies, programs, and actions for improving the city's bicycling environment. The application deadline is Friday, April 13. Terms will be begin on June 1, 2012 and last through May 31, 2014. Applications and details can be found on the Bicycle Advisory Committee website. Click here to read how to keep your credit cards, cash and gifts safe during this busy shopping period. Learn how to protect your home and avoid scams that occur during the holiday season. The Minneapolis Arson Squad is seeking the public's help in solving an August 2009 arson and property damage case at Lake Harriet. Shortly before 6 am on Aug. 9, 2009, three white male juveniles were observed damaging sail boats moored at Lake Harriet. The three males left on bicycles southbound from the lake. Damage to the boats exceeds $20,000. Early in 2010, a tipster to the City of Edina Crime-Stoppers line identified three possible suspects. Two are residents of the Linden Hills neighborhood and one lives in Bry Mawr. All three declined to be interviewed by the police and evidence is insufficient to gain criminal charges at this time. Arson investigators are hoping the anonymous tipster calls back and also believe that more people are aware of the suspects actions in this case. A reward of up to $2,500 is offered for information leading to the arrest and conviction of those involved in this fire. Call the Arson Hot line at 1.800.723.2020 or Sgt. McKenna at 612.673.3389. Biking season just around the corner! Check out these great links to gear up for the season. 30 Days of Biking begins tomorrow, April 1st. Pledge to bike every day for 30 days, and then share your adventures online. Nice Ride Minnesota bikes are coming back and year-long subscriptions are on sale for $40 ($30 for students). A new Minneapolis Bicycle Map is available online and at Minneapolis bike shops and libraries. Brush up on rules of the road and Minneapolis bicycle parking regulations. More bicyclists equals safer bicycling. Read the story and look at the data (PDF) behind the safety in numbers theory. Become a facebook fan of the Bike Walk Ambassadors to stay up to date on bicycle goings-on. Members of the public are invited to attend the next MSP Noise Public Input meeting to be held on Tuesday, October 25 at 7 pm at the MAC General Offices located at 6040 28th Ave S. The meeting will provide updated information on the MSP Noise Oversight Committee (NOC) activities and MSP aircraft operations and procedures. Public comments and concerns on airport noise issues are welcome at this meeting. Back to Basics" is the theme for this year's National Night Out (NNO) on August 2. Neighbors getting to know each other has a powerful affect on lowering crime and keeping your neighborhood safe. Register your block online or by calling 311 before July 20 and there will be no fees for blocking off your street. Looking for fun ideas for your block party? Click here to find a great list of suggestions for National Night Out activities. Maybe your neighborhood is interested in an environmentally friendly party. Check out the Go Green National Night Out website. For more information, go to NNO 2011 to get more details. The transit shelter at 40th and Bryant has been identified for removal due to low ridership. Metro Transit guidelines indicate that a transit stop in Minneapolis should have a minimum of 40 daily boardings and the 40th and Bryant stop currently has an average of 22 daily boardings. The transit shelter is scheduled to be removed on or after April 15, 2011. A sign will be posted on the shelter to notify customers and the public of the upcoming removal. There were 46 theft reports of stolen bicycles in the 5th Precinct from July 20 to August 15. These reports included bicycles stolen largely from outside residences and commercial or public buildings. 36 of the 46 bicycles were locked, 2 were unlocked and 5 were unspecified whether or not they were locked. The thieves appear to be able to operate quickly. In some cases, the bicycles were left alone for less than 15 minutes or were within a few feet of areas that were well occupied. Use a U-lock and be sure to lock it to the frame as well as front wheel. If possible, lock both wheels on your bike. Record the serial number on your bike. Thousands of bikes are stolen and recovered each year in Minneapolis. Last year only 2% of recovered bicycles were returned to the owners. This is due to lack of serial numbers or an inability for the victim to positively identify their bicycle. Recovered bicycles that cannot be identified by owners are sold at police auctions every year. Call 911 on suspicious activity. This includes if you witness what appears to be a bike theft in progress or anyone loitering near parked bikes. You must remove snow and ice from your sidewalks. It is the neighborly thing to do and it is the law. A Winter parking restriction will go into effect on Fri. Dec. 17 at 8 am. Parking is allowed on the odd side of non emergency streets. Parking will be allowed on both sides of Emergency Snow routes with the EXCEPTION of Bryant and Grand Avenues. Special No Parking signs will be posted beginning this weekend (Begin after 4 pm on Fri., Dec 17 and finish on Sun, Dec 19) on the even side of Bryant Avenue from Lake St to 50th St and on Grand Ave from Lake St. to 48th St. Both the Bryant and Grand Ave parking restrictions and the Winter Parking Restrictions will remain in place until April 1 unless conditions allow the City to lift the ban earlier. For more information, go to the City's Winter Parking Restrictions web-page. Snow Emergency begins tonight, Monday, Feb. 21 at 9 pm and will last until Wednesday, Feb. 23 at 8 pm . Click on Snow Emergency In Effect to read the most updated information on parking rules for this snow emergency. During this Snow Emergency, Winter Parking Restrictions are not in effect beginning at 4 p.m. Monday. Be sure to know the rules when Minneapolis declares a snow emergency. Click here To find answers to frequently asked questions about parking and your vehicle. Identity theft is the fastest growing crime in America and it can affect anyone. Join the United States Postal Inspection Service and the Minneapolis Police Department for a presentation on mail becoming a victim of any of these crimes. Free parking is available in the Temple Israel lot off Emerson Ave S.
Nice Ride Minnesota, a non-profit organization, launched the largest public bike sharing system in American on June 10 in Minneapolis. Now that they have reached their 3 month anniversary, they want to hear from you how they are doing. Join Nice Ride on Wednesday, September 15, at 7 pm at the University of Minnesota Urban Research and Community Outreach/Engagement Center (UROC), located at 2001 Plymouth Ave N, Minneapolis. Nice Ride will present a brief summary of their initial 3 month performance. A discussion will follow focusing on the potential to expand Nice Ride Minnesota to more communities. If you are unable to attend this event and have ideas to share with Nice Ride, please send an email to ideas@niceridemn.org before September 10. It's not too early to start planning on your block for National Night Out on Tues., August 2, 2010. The City of Minneapolis has made it easy, just click here to register your event, even if you are not planning to block off your streets. Street closure is free and the deadline to apply has been extended to 5 pm on July 21. You will need permission from 75% of your neighbors. Be sure to get their names and addresses (you do not need their signatures). You can also register your event and apply for street closure by calling 311. More information is available on National Night Out at www.ci.minneapolis.mn.us/nno. The City of Minneapolis is seeking photos and videos of your 2010 National Night Out Block Party to document this year's events. Click here for information on submission guidelines. On Monday, April 12, an attempted kidnapping occurred near 56 St W and Dupont Ave S at approximately 6:30 pm. An 11 year old female was walking home from school when a black pick-up truck pulled up next to her and the driver yelled at her to come over to the truck. 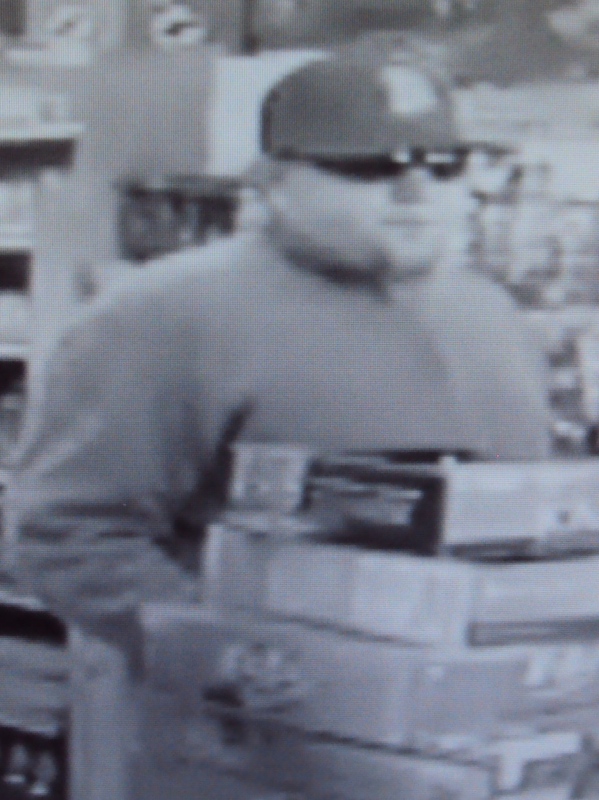 The suspect then attempted to grab her arm and tried to pull her into the truck. The victim screamed and began punching and scratching the suspect. She was able to get free and ran home. The suspect then fled eastbound on 56 St W.
The vehicle is described as a shiny, black, newer model pickup. The license plate was covered in dirt. The suspect is described as a Hispanic or white male with a darker complexion, late 20's to early 30's, medium build, over 5'7", unshaven, with long black hair in a pontail and wearing a white t-shirt. The suspect may have scratches on his arms from the victim. The victim believes that she saw the same vehicle and suspect in the area on April 8. There is no further information at this time and the case has been passed on to investigators. There are no further reported incidents matching this description in the area at this time. Please click on Tips on Child Safety and read this important infomration provided by the 5th Precinct.